Learn one of the most popular children’s games in history with this easy-to-follow activity book perfect for unplugged fun wherever you go. Learn one of the most popular children’s games in history with this easy-to-follow activity book perfect for unplugged fun at home, on the road, or wherever you go. 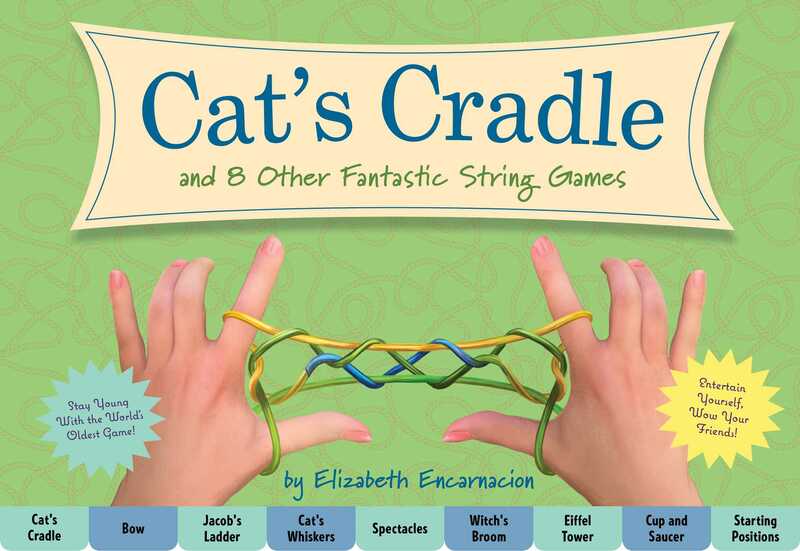 Each kit features two extra-long continuous cat’s cradle strings, perfect for up to four players. Learn the ins and outs of classic string games like cat’s cradle and hand catch, as well as string shapes like witch’s broom, parachute, and more. Featuring easy-to-follow instructions and pictures for every trick, twist, and tie, you’ll be a string wizard in no time!